It is equipped with a rechargeable 3,000mAh Lithium Polymer battery and a charger with a booster IC for 5V output. When the AC power source fails, the UPS2 keeps supplying the power to the ODROID-C1/C1+ with the battery. There is a digital output pin to notice the battery low-level warning to the ODROID-C1/C1+ to trigger the shutdown process. 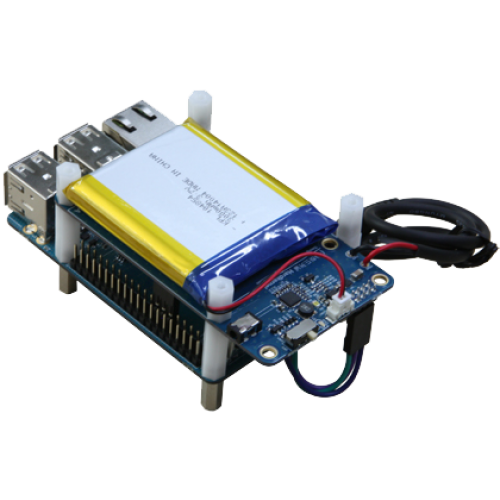 And the AC power source available, UPS2 will supply the power to the ODROID-C1/C1+ again automatically. It will significantly reduce the risk of data loss by sudden power-down.